Think Big. Start Small. Feel Better. Healthy ideas for REAL PEOPLE (like me) who want to feel better without making ourselves crazy! Breathing well is increasingly rare these days! We're so stressed and busy and we're thinking about everything except our bodies - thank goodness that our lungs breathe on their own, whether we think of it or not! But, breathing deeply, slowly, with volume and mindfulness has wonderful benefits to our bodies. 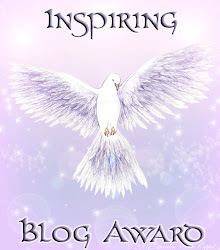 I'm going to recommend that you follow the link below and read a blog (that I follow) from Elizabeth Walling, who lives and writes about nourishing our bodies, minds, lives. I really like her philosophies, and so I'm sharing her article about the benefits from daily deep breathing. Enjoy! breathing... we all do it! Have you ever considered how amazing it is that our bodies breathe without our conscious control? Whew! Thank goodness, I don't have to always keep in mind "breathe in" and later "breathe out." If I can't find my car keys, imagine what would happen to my lungs!! It's interesting, however, that we also have conscious control over our breathing, if we choose. So, we can take a big breath in preparation for yelling. We can breathe shallowly if the air is toxic. We can take long, slow breaths to calm down. Manipulating our breathing turns out to be one of the best things we can do to help ourselves feel better. How? In the next few posts, I'll tell you! I was first introduced to the importance of breathing as a singer in our school chorus. Our teacher taught us about breathing from the diaphragm (not the birth control device, but the muscle in your middle) to support high or loud singing. Later, working in the theater, actors must master their breathing in order to portray their characters so that the audience can hear and understand them. But, the most life-changing experience with breathing came when I started to meditate. Meditation, especially focusing on the breath, has helped me to calm my nervous system and relieve pain. 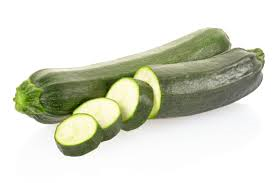 Zucchini and Yellow Squash are staples in the summer here in the South. They tend to overflow from backyard gardens and farmers' markets. They're wonderful sautéed with onions, battered and fried, or grilled on skewers with other veggies and chicken. Yum! But, my new favorite thing to do with Zucchini is to SPIRAL IT! My new SPIRALIFE (or is it Spiralizer or Spiraler?) is a really cool contraption. 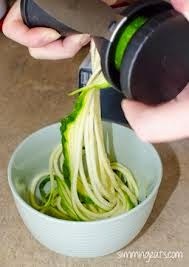 You stick the zucchini in it and get ribbons or noodles of veg! Put it on my plate, cover it with tomato sauce and meatballs, and I actually like it BETTER THAN PASTA! Really! I might put the 'noodles' in a sieve and hold it over the sauce as it cooks, just to steam them a little bit. But, it seems more flavorful than pasta, and certainly not the caloric minefield that pasta can be! Have you spiraled any veggies lately? 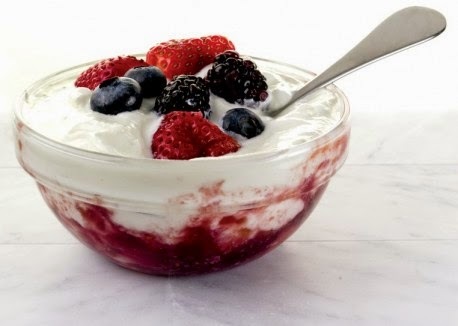 I have always enjoyed yogurt as a treat (especially the frozen kind), but since I've been more nutrition-oriented, I really appreciate yogurts many fine qualities. First, it's delicious! I have started having Greek yogurt for breakfast. I start with PLAIN yogurt. (Really! It's yucky when eaten alone, but sweetened with fruits and nuts it becomes yummy!) Second, it's high in protein. As a person whose body really likes more protein, I'm always looking for new sources (even I get a little tired of eggs and meat). Third, it's useful in many different ways. It can be substituted for sour cream (although I prefer to use the actual stuff). It can be used in many recipes as a substitute for either eggs or oil. There's even a "chocolate chip cookie dough yogurt snack" recipe that I just ran across that appears to be delicious! I'll be trying this soon! I have also always like yams, but only had them occasionally (like at Thanksgiving, covered in marshmallows). But, since we've learned that they are much more nutritious that white potatoes, I often substitute yams as my side dish of preference. Especially at restaurants, where I'm tempted to load a white potato with all kinds of yummy and less-nutritious toppings, I can have a sweet potato with nothing added and still enjoy it fully. Have you tried it? It's used in many "sugar free" products. My naturopath, Jill Clarey, recommends it. But I always like to have more than one opinion! I struggle with dry mouth, due to some of the prescriptions that I use to manage my chronic pain. Especially at night, sometimes it feels like my lips are glued together, or I wake coughing because I have no spit left! 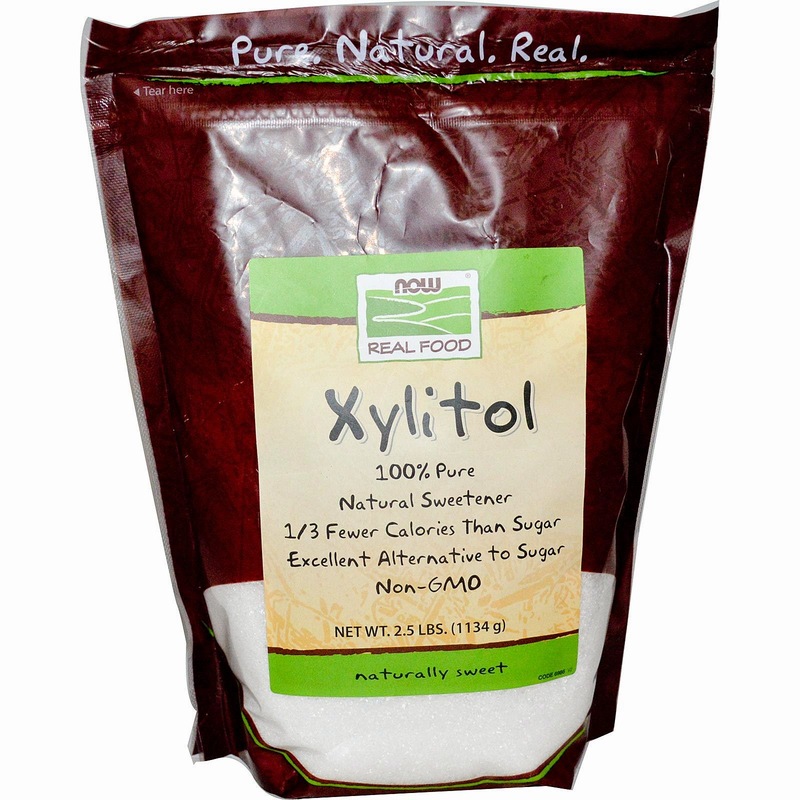 My dentist gave me a sample of Xylimelts, and I'm hooked! They are like breath mints (you can get mint or mint-free) but they have a sticky disc on one side so that it actually sticks to your teeth. So, I stick it to a molar and my saliva glands work more and I can sleep better. I have found that these last between 2-4 hours - much longer than pastes, gels, or tapes. They are sweetened with xylitol, which doesn't cause tooth decay or sugar issues. 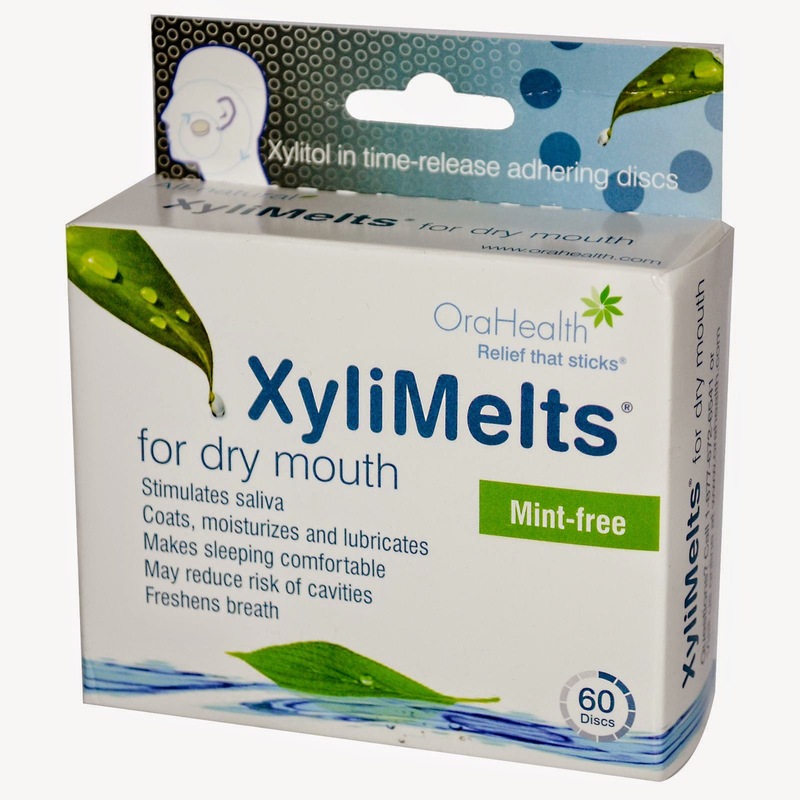 I highly recommend Xylimelts (even though they're not actually food) for those who deal with dry mouths. I have spent 7 years in severe chronic pain (Brad Pitt got 7 years in Tibet; I guarantee he had more fun). 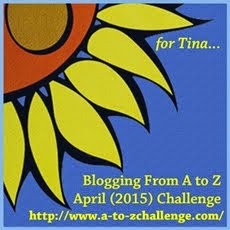 In April 2011, I wrote an A-Z challenge about my experiences with pain. If you are dealing with physical issues now, please read it. My background with pain has given me a fresh perspective on the process of feeling "better"; I hope that some of these ideas will help you FEEL BETTER too!